Artefact Description Good condition, some yellowing. Fine cotton. Hand-Crocheted. Artefact Stored Being re-made at the moment into the Credence Cloth in Mayles Road. Sample Taken Thread from bottom of design. History of Artefact It belonged to Audrey’s grandma. She made it when she was a teenager. It’s an intricate pattern which she learnt while watching her mother. Two pieces were made - this piece is on the Credence table at Portsmouth Cathedral, the other piece is at Dulwich Church. 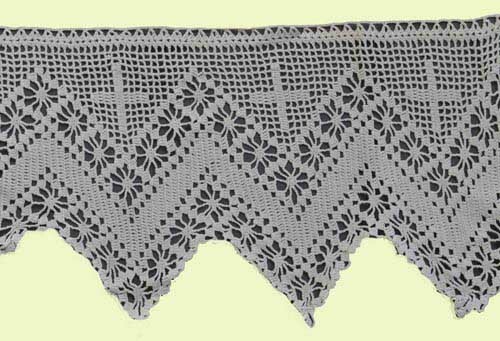 Traditional fine cotton for crochet. 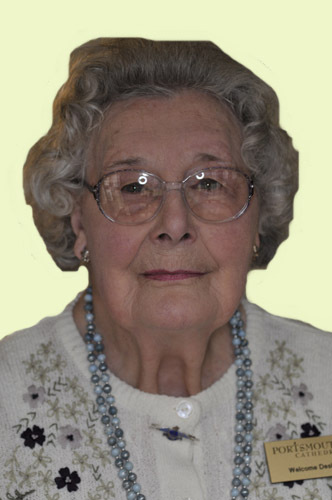 Previous Owners Grandma (Susan Nye nee. Gardner) and mother (Rose Nye).